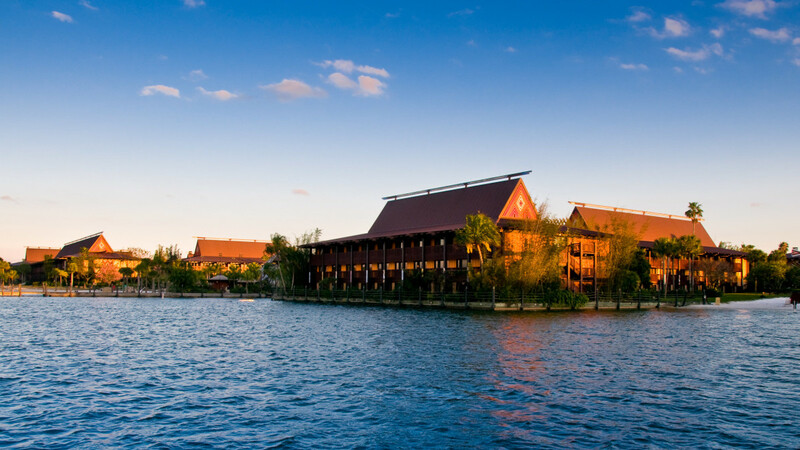 Why Go:Disney’s Polynesian Village Resort is one of the original, iconic 1971 Walt Disney World hotels at Lake Buena Vista, Florida. 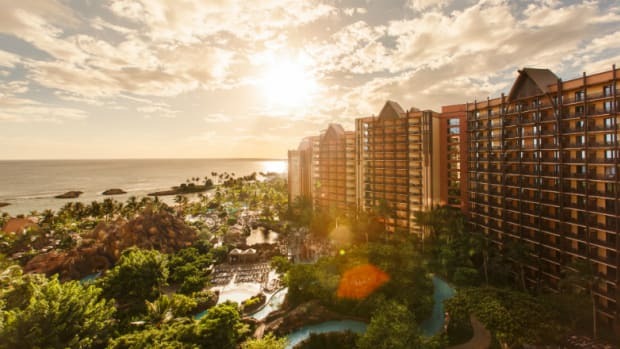 It features a tropical paradise, lush landscaping, waterfalls, and an extensive renovation that includes the ultimate Walt Disney World room with a view – the Bora Bora Bungalows. The 20 two-bedroom cottages are the only over-the-water bungalows in the continental United States, and feature a direct view of the nightly Magic Kingdom fireworks that families can watch from the privacy of their own private plunge pool on the wrap-around deck. However, starting at $2,137/night, these rooms are not for your average family vacationers. Disney’s Polynesian Bungalows are certainly aimed as a Bora Bora bucket-list item. The Bora Bora Bungalows are not the only new feature at Disney’s Polynesian Village Resort. 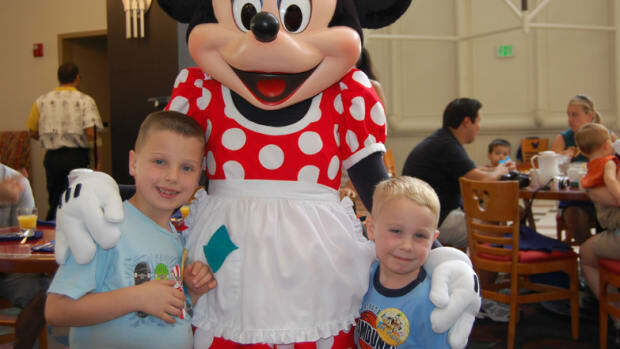 The resort’s lobby, volcano-themed feature pool, children’s splash ground, and entrance marquee are all refreshed as well as the kids’ club, now called Lilo’s Playhouse, and offering supervised childcare – perfect for adult date nights. For those who cannot afford the splurge of the ultra-exclusive Bora Bora Bungalows, continue reading for our first-hand account and photos. 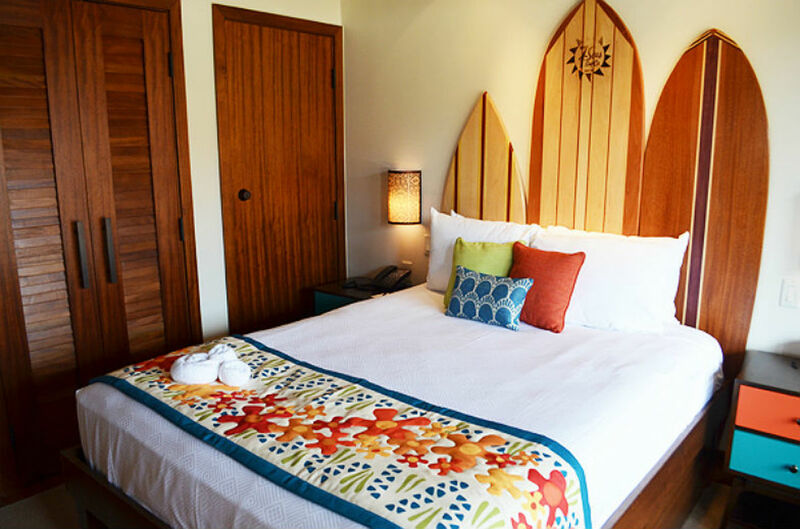 Room Options: Each bungalow sleeps eight guests in the two-bedroom/two full bath units, with a décor featuring a mix of mid-century modern, tropical, and retro-tiki style. 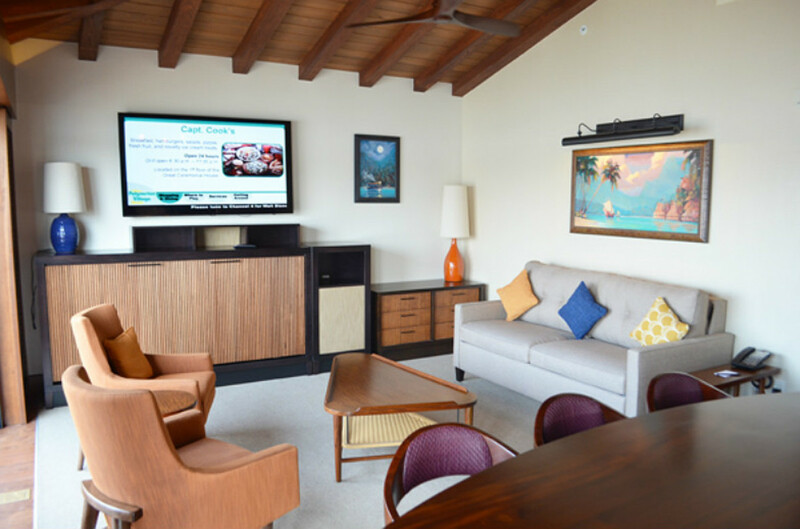 The decorations may remind you of a 70’s Tiki party, but the technology is 100% 21st Century with flat-screen televisions, programmable mood lighting and electronic doorbell with multiple chime settings including Tiki Room and Holiday. The guest bedroom faces the private, key-card accessed walkway to the Polynesian Resort with a queen-sized bed and a fold down stowaway twin bed (with reading light and adorable Lilo & Stitch artwork). The master bedroom features a king-sized bed, separate entrance to the wrap-around porch and its two secluded rattan swings, and spectacular en-suite bathroom separated from the sleeping area by sliding door. The master bath retreat contains a deep, soaking tub; separate rainforest shower; and vanity with double sinks and high-tech video monitor embedded in the bathroom mirror. Each Bora Bora Bungalow is meant to be a "home away from home" and includes a full kitchen, dining room table with seating for 8, living room, and washer and dryer. 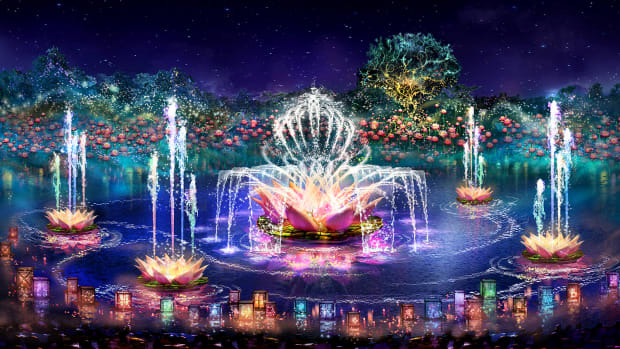 The living room also has a second fold down hide-away bed, with artwork of the Electrical Water Pageant that one can watch from the deck each evening on the Seven Seas Lagoon. 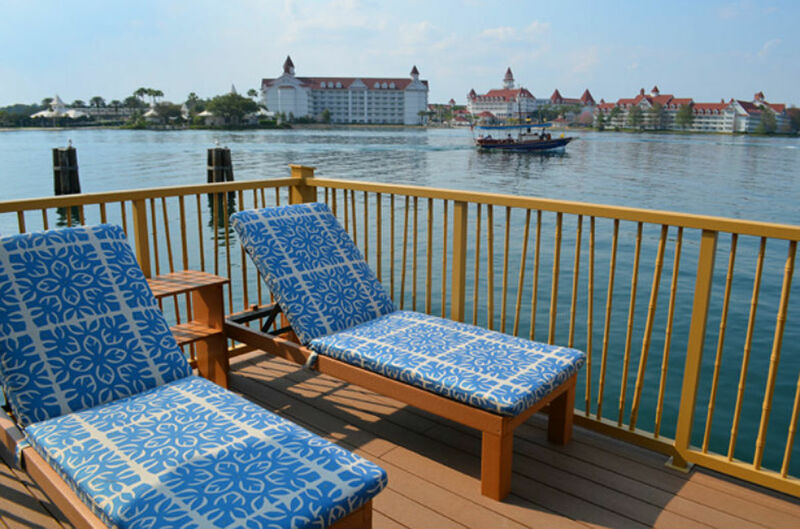 It’s the private deck that demands the accolades, attention, and $2K+/night price point with commanding views of Disney’s Grand Floridian and Contemporary Resorts, and the Magic Kingdom theme park itself. The deck includes padded chaise lounges, table and chairs for morning coffee or tea, and the private plunge pool to relax while watching the evening fireworks (music piped in via outdoor speakers on the deck) or Electrical Water Pageant. Just for Kids: Lilo’s Playhouse is a children’s activity center where Lilo’s favorite Little Golden Books such as Pinocchio, Lady and the Tramp and Alice in Wonderland come to life. Parents can enjoy a night out, while the little ones play dress-up and enjoy crafts, games and storytelling. 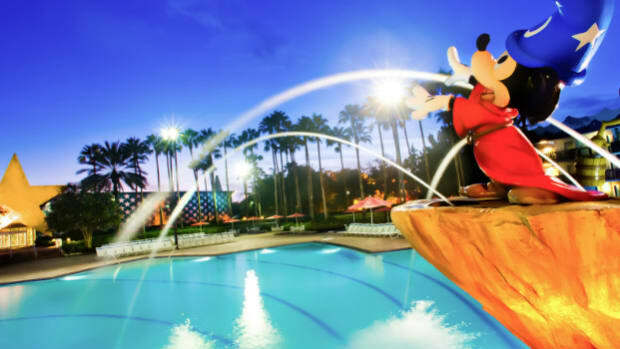 Also, always one of the most spectacular pools at Walt Disney World, the resort’s volcano feature pool has been renovated and a water play splash ground added. 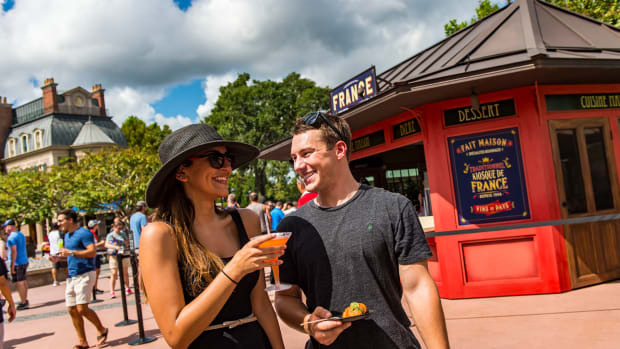 Where to Eat: If not cooking your own meal in your Bora Bora Bungalow, there are a number of restaurants at Disney’s Polynesian Village Resort including: &apos;Ohana, an all-you-care-to-eat buffet with Disney characters at breakfast; Kona Café sit down family restaurant; and the grab and go Capt. Cook’s quick-service restaurant. Around the corner outside Capt. Cook’s is a new Pineapple Lanai kiosk, serving the always popular Dole Whip soft serve ice cream and floats in souvenir Tiki mugs. Speaking of Tiki, Trader Sam’s Grog Grotto offers a highly-themed, interactive tropical oasis lounge with exotic cocktails served in souvenir mugs, paired with Polynesia-inspired small plates. 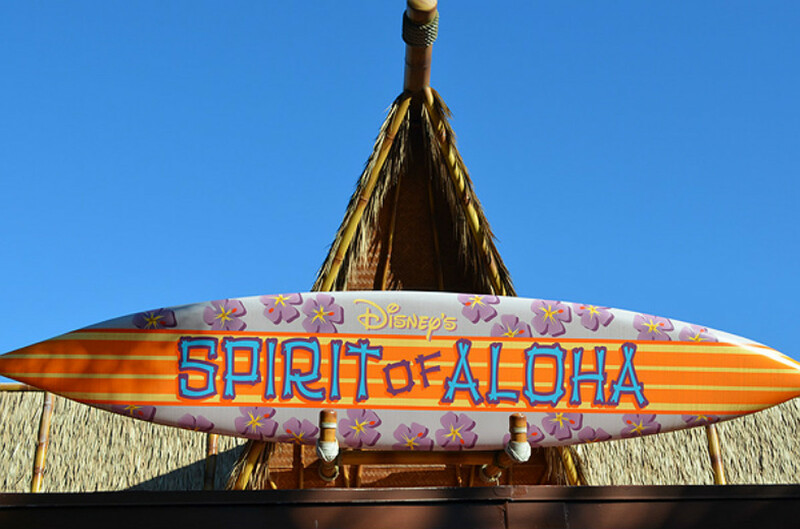 Finally, for a family treat, Disney’s Spirit of Aloha Dinner Show features a traditional all-you-care-to-eat Polynesian meal, music and dancing (including hula lessons and fire dance). 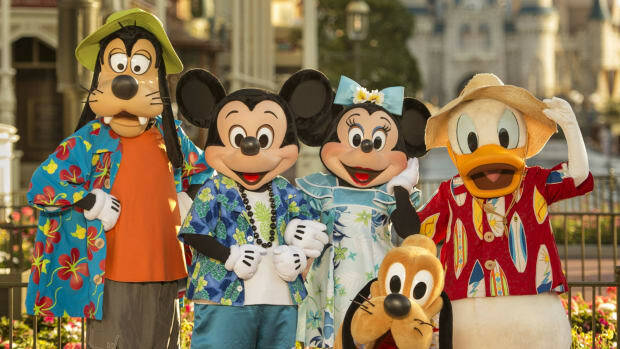 Getting There: Guests staying at Disney’s Polynesian Village Resort can fly to Orlando International Airport and use Disney’s Magical Express bus service to transfer you directly to the hotel. There’s no charge for this service, and it saves you the cost of renting a car. Getting Oriented: Disney’s Polynesian Village Resort is located in the Magic Kingdom area on Walt Disney World property. The Bora Bora Bungalows are just one of the many buildings where guests can stay in the resort. Most of the restaurants and services are located in the Great Ceremonial House main building. 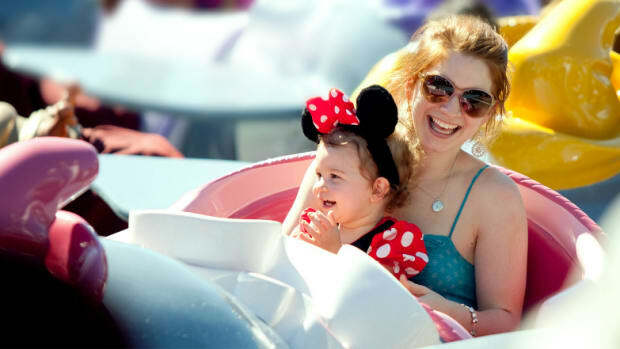 The Magic Kingdom theme park can be reached by boat or monorail directly from the resort. 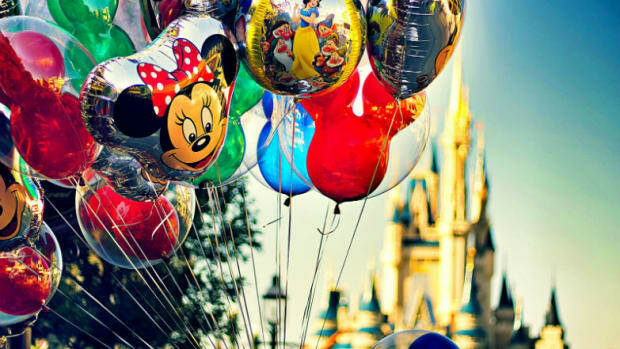 The three other Walt Disney World theme parks can all be reached by bus or monorail. Insider Tips: The popular Tonga Toast offered for breakfast in the Kona Café sit-down restaurant is also available at Capt. Cook’s grab and go location for half the price. Dave Parfitt of Adventures by Daddy contributed this to MiniTime. He is a father of two and a runner with a PhD in neuroscience and a travel blog to chronicle his family adventures as well as offer family travel advice and escapist fun from Dad&apos;s perspective.